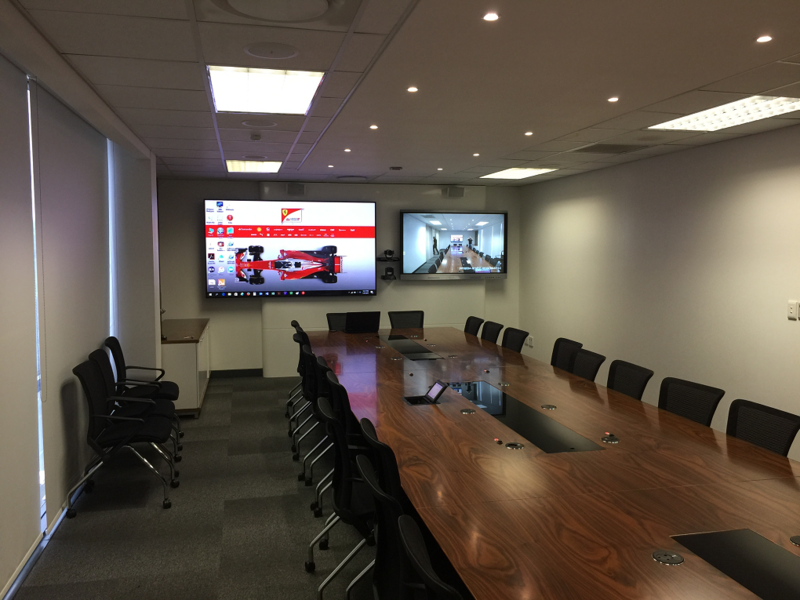 AVC was approached by a large multi-national company to design, install and commission a Unified Conferencing boardroom. 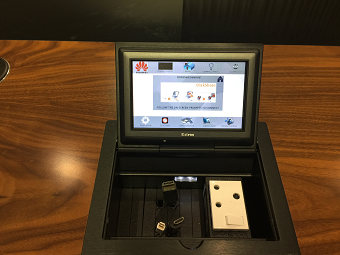 The customers vision was to have an avant-garde boardroom, making use of the latest technology available yet be simple and intuitive to use. 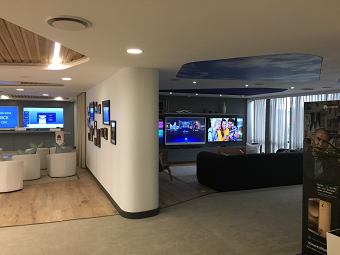 Large emphasis we placed on the ability to do soft codec conferencing along with interactivity, so that the client could communicate and collaborate effectively with branches throughout Africa that do not have the same infrastructure as the South African office. 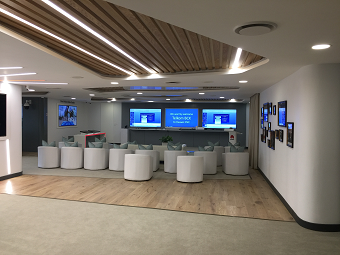 The client still wanted to retain a traditional video conferencing system as well, to communicate with more established offices around the world. In addition the client needed to be able to bridge voice communication across three platforms namely, soft codec conferencing, video conferencing and tele-conference calls. Even though participants would not all be able to see one another across the different platforms, at least they could hear one another. Besides the boardroom having conferencing and interactive abilities, the room was also to be fully automated. After much consideration, AVC designed and put forward a solution that catered to all the customers’ needs. With clever product selection and out the box thinking, cost were kept to a minimum. Each device selected for the project was chosen for its ability to perform multiple functions, instead of conventional system design where a device performs a single function. Where it not for AVC constantly striving to stay abreast of the latest available technology, this would certainly not be possible. Full boardroom control of lighting, blinds, source switching and input selection, video conferencing, tele conferencing and audio systems. Room monitoring to assist with energy saving when the room is not in use or left in an inactive state. Audio system with mix-minus voice lift and USB conversion of analogue audio for soft codec conferencing. Microphone mute/unmute buttons for discussion control. System can be used as open mic system or discussion control. Interactivity for in room presentations, as well as across some the above mention soft codec clients. Wireless presentation capability that is easy to use. 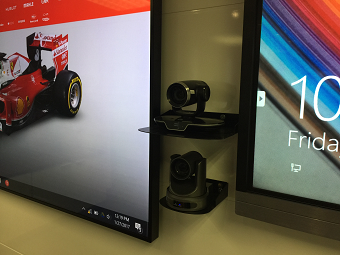 Presentation capabilities using HDMI, DisplayPort and Mini-DisplayPort. Microphone mute/unmute buttons for discussion control, system can also be used as open mic system. Room booking and scheduling via the Evoko room management system. Extron DTP CrossPoint 4K 108. Extron DTP HDMI 230 transmitters and receivers. Extron USB plus, USB transmitter and receiver pair. Extron TLP 720C Pro 7” cable cubby touch panel for room control. 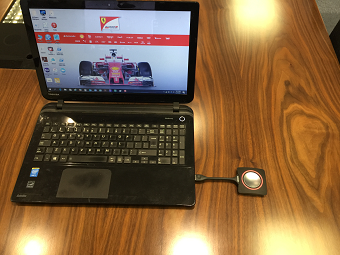 Barco ClickShare for wireless presentation. Biamp Tesira Forte AVB VI Digital Sound Processor. Biamp Tesira AEC-Ex in, 4 input expander for Tesira AVB VI with AEC. Biamp Tesira EX-logic, logic expander for microphone push buttons. Beyerdynamic Opus 660 wireless handheld microphones. Cloud CXA450 4 channel amplifier. 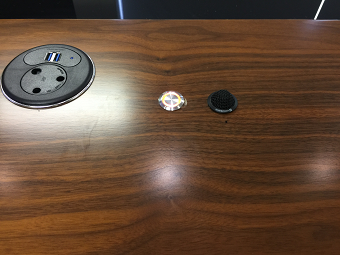 Bose DS16SW flush mount ceiling speakers. Intel NUC D54250WYK small form factor PC. SmartBus G4 24V PSU, 24 volt power supply unit. Huawei TE50 video conferencing system. AV Design, Implementation, Programming and Commissioning of the system was done in house by AVC’s technical department.